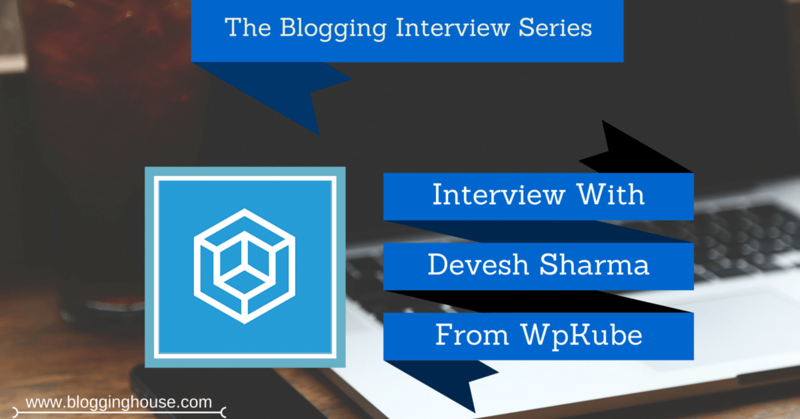 Hey everybody, this is the first interview of The Blogging Interview series. Today, we have posted the interview of a travel blogger that is loved by many fans and friends including me. 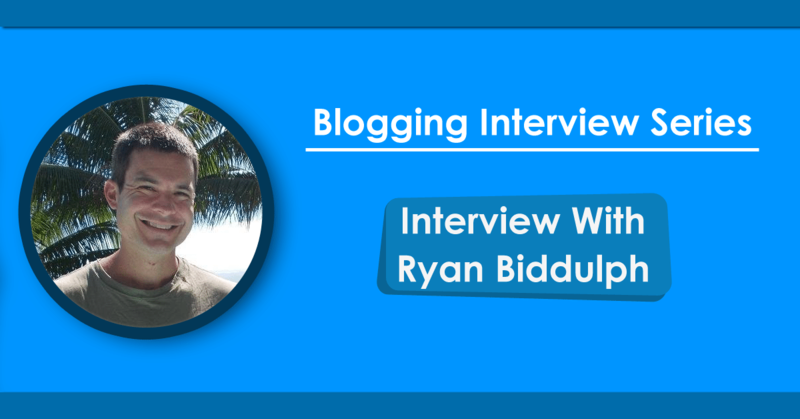 And this is the interview with Ryan Biddulph. Ryan is telling the world and blogging from everywhere in the world. He is making money from his blog and by selling ebooks. Ryan is so talented that he has written over 100 ebooks for Amazon. 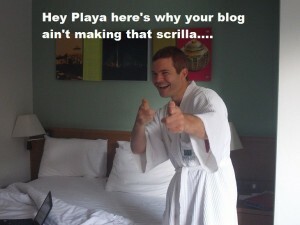 Ryan Biddulph is managing his blog “Blogging From Paradise“. This blog is perfect for those want to travel the world and want to become a professional full-time blogger. Ryan is creating content on this blog. Besides that, Ryan also writes ebooks. He has travelled to a lot of countries and based in Balli. I am so inspired from his travelling experience that I have posted this interview. 1. Welcome to Blogging House, Ryan. Thanks again for taking this interview. First of all, tell us about your background and how you started travelling? Thanks for having me Abdul! My name is Ryan Biddulph. I am a 40 year old blogger from New Jersey, but the world is my office. I started traveling in 2011. My wife Kelli wanted to travel to SE Asia. We picked Bali as our first destination. We never looked back. 2. Tell us about your favorite adventure while you were travelling. Wow….so many to call upon. 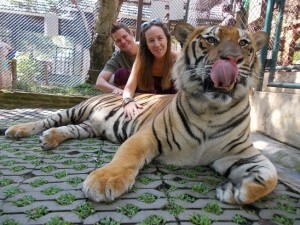 Probably sitting with tigers in Thailand was #1. These guys were 400 pounds – 3 of them – and I petted each and sat with them too. Surreal experience! 3. What was the worst place in your life? And why that was worst? No place was the worst because I love all of my travels. My most intense experience was suffering through giardia in Muhamma, India. I lost 20 pounds in a few weeks and went to the emergency room. I recovered nicely in lovely Kovalam Beach, India. Man do I love Kerala! 4. What is your favorite place? Why it is your favorite and how many times you travelled to it? Thailand, with Bali being a close 2nd. Thailand is so laid back and beautiful. The beaches are beautiful and I love Thai food. The US dollar is super strong against the Thai bot so any time we land in Bangkok our net worth increases immediately. Bali has stunning natural beauty, a fabulous, fascinating culture and warm people. 5. What do you do when you are not travelling? I am almost always traveling somewhere, but I love exercising, meditating, reading, and when I come back home to New Jersey I visit with fam and friends. 6. How did you start your blog and how much time you give to your blog? I was sick of working jobs, having only 1 week off a year for vacation time, so I started my blog. I worked 10 to 12 hours a day when my blog really sucked, then I trashed tht blog, and now I work 6 to 8 hours a day on my new, full time income earning blog. 7. Tell us about the products or services that you love to use in blogging? I have written over 100 eBooks for Amazon. I also have a bunch of audio books and paperbacks too on Amazon. I’m a freelance writer but am moving away from that business; I prefer to cash royalty checks while sipping coconut shakes on Kovalam Beach, or Koh Lanta, or Savusavu Bay. Ebooks are my fave product to create and sell, especially selling them through Amazon, where I connect with a global audience. 8. How do you get money for travelling (work, business, savings or what)? My blogging business fully funds my travels AND boosts my savings. 9. Mention three people who are your favorite bloggers and why? Darren Rowse: he is helpful, he shares practical blog building tips and he has a great heart. John Chow: he breaks earnings records, inspiring me to crush blogging obstacles, and he’s very confident. A fun guy to follow. Kelli Cooper: she’s my life, she cooks my dinners, so she’s my fave. Joking! She’s a phenomenal personal development coach and she runs a first class blog. 10. What is the best way to make money? Create super helpful blog posts 1-3 times a week and make friends with influential bloggers. Money flows through your value created and through your blogging buddies, who promote you. 11. How do you promote your blog? Through email marketing, social media and through blog commenting too. I do a little bit of forum marketing as well. 12. 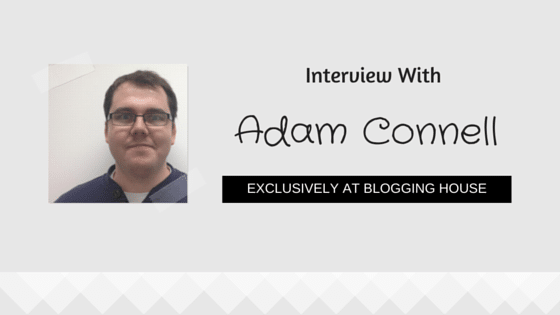 What is the secret behind your blogging skills? Means how do you manage an epic travel blog? I am more hungry to be free than I fear doing uncomfortable stuff. Currently, I’m writing and publishing 1 eBook daily because I love my life of travel, so even though writing 1 eBook daily feels uncomfortable at times I love my life of travel over a few uncomfortable moments. 13. How do you create great content and how many words do you write daily? I write 6,000 to 10,000 words every day. 14. What will you do next? We just booked a 2 month trip to Granada, Nicaragua. 15. 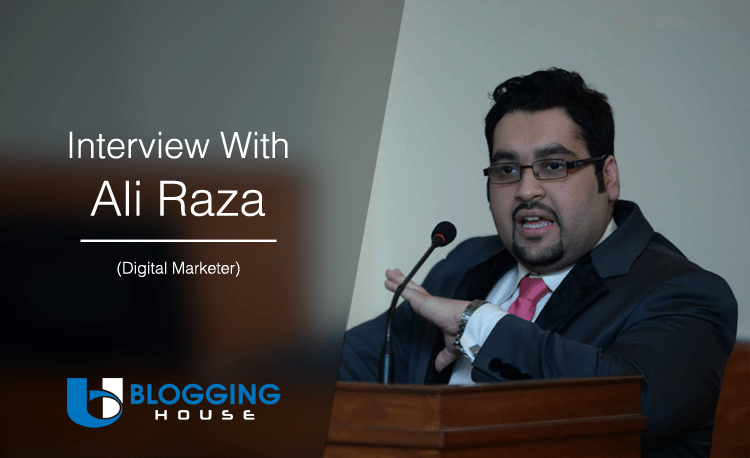 How Blogging House readers can reach you? and please leave me a comment. I want to chat with you. Thanks Ryan for taking your time to answering the questions. 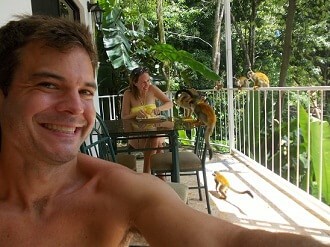 Ryan is the favorite personality of travellers. Well, if you ask me then I love his writing and blogging skills because his articles are in-depth and easy to understand. 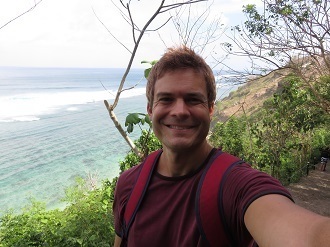 Readers, I think Ryan’s blog is his hard work for the one who want to do travel and blog. He has released so many books to help bloggers. You can find his library of Amazon ebooks here. For audio lovers, he has started a podcast. Please share your comments about interview. Thanks so much for interviewing me Abdul! I love what you’re doing here on Blogging House!! Thanks for hosting Ryan here. He’s such a great man I’ve come to love over time. He has a heart of gold. I have learnt a couple of things from him.